As December rolls around once again, my music listening takes on a far more wintry hue. And they don’t come much more wintry than The Sundays‘ sublime recording debut ‘Can’t Be Sure’. I’m really not sure how I first came to be aware of The Sundays. 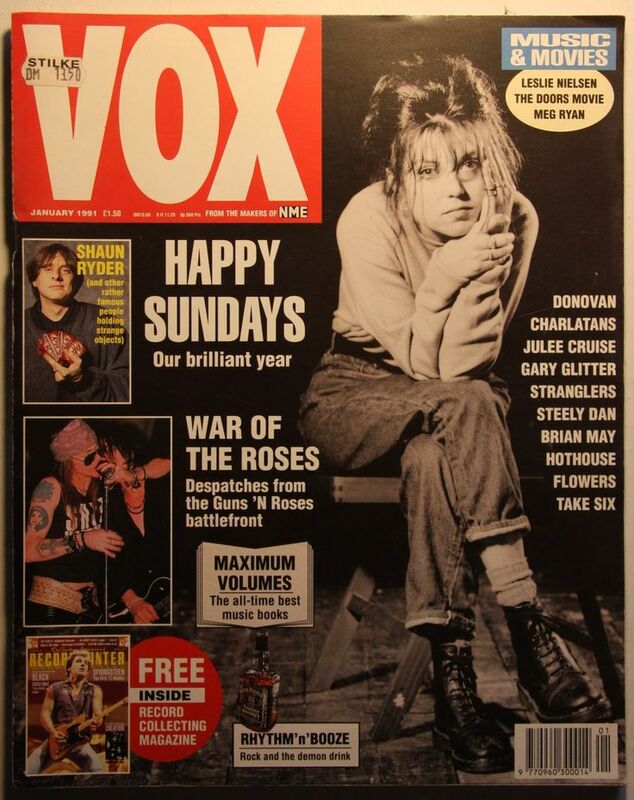 I don’t recall seeing them on TV or hearing them on the radio, though do vaguely remember a Vox magazine cover feature in early 1991 (see below). With hindsight, some of the band’s ‘indie’ influences would generally have been a turn-off to me in 1989/1990 – instead, we were all drawn to the crystalline, unfettered beauty of Harriet Wheeler’s voice and her winning way with a melody. Though ‘Can’t Be Sure’ was released as a UK single in January 1989 and reached just 45 in the singles charts, it ended the year as number one in John Peel’s Festive Fifty. The track also has a weird prog connection – it was (excellently) co-produced by Ray Shulman, a founding member of Gentle Giant. ‘Can’t Be Sure’ and its attendant classic album Reading, Writing And Arithmetic now seem redolent of a far gentler time, an era of hope and innocence, pre-Grunge and Britpop. For that reason, along with the Cocteaus’ Heaven Or Las Vegas, they’re quite hard to listen to now but no less powerful. The Sundays were also arguably a very influential band on many inferior acts (The Cranberries, The Corrs etc etc).